Whether set into the crown of the world’s most famous monarch, or suspended at the end of a magnificent diamond necklace, a briolette diamond commands attention. Created in India centuries ago, the briolette shape is a modified double-rose cut, with a pointed tip and rounded bottom. 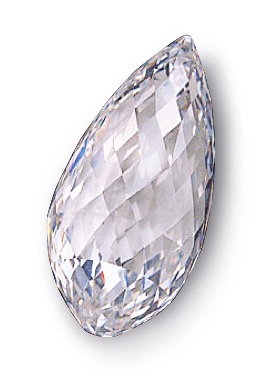 Its water-drop shape is entirely covered in long, triangular facets. When William Goldberg took possession of a 160.5 carat piece of rough, no one knew that it would one day become the largest, most perfect briolette diamond ever to be auctioned. Known simply as the Briolette, this stunning 75.36 carat stone is a Type IIa diamond, found in only a few places on earth. These rare diamonds possess a purity of color and a high degree of transparency. In order to achieve this spectacular diamond, William Goldberg had to remove over half the weight of the rough during the cutting process. But he remained true to his philosophy: “Never maximize the weight of a stone at the expense of its beauty.” The result was a diamond of extraordinary quality and the highest grading of clarity and color. What made it even more remarkable was that, unlike most other briolette-cut diamonds, it possessed a high degree of scintillation. 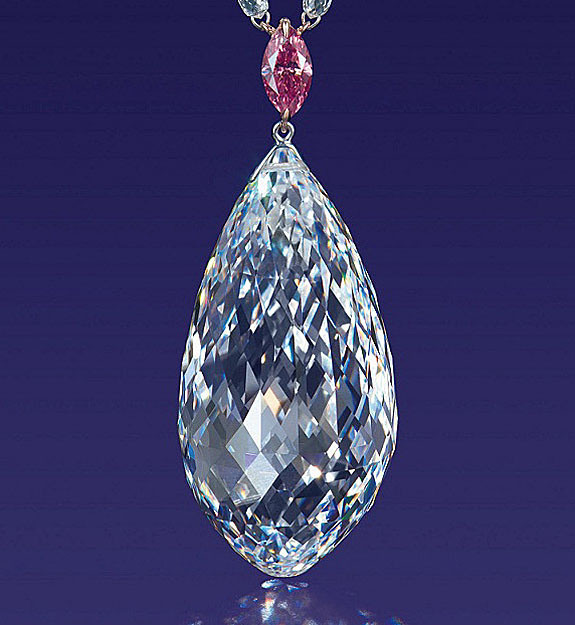 It’s little wonder that on May 28, 2013, the Briolette sold at Christie’s for an incredible $11.15 million – nearly $148,000 per carat. It was the highest price ever paid for a briolette-cut diamond at auction. It has since been renamed the Star of China by its new owner. 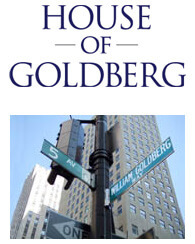 Fitting, since it shines bright among the famous diamonds of William Goldberg.